Energy Insights: Special Report: 98: Seven Top Natural Resource Stocks to Invest In! Energy Insights:98: Seven Top Natural Resource Stocks to Invest In! EnergyInsights > 98: Seven Top Natural Resource Stocks to Invest In! Larry Edelson writes: Today I'm going to review seven of my favorite Asian natural resource stocks, which I believe are in bargain territory right now. But first, a recap is in order. Last week I told you how the U.S. economy was melting down and headed toward a bad case of withdrawal from its debt-addicted lifestyle of the last two decades. It's going to be a painful withdrawal for most people, especially those who don't understand what's happening, or worse, don't care to. But in the end, the process will be healthy for the country ... and will create lucrative opportunities for savvy investors who understand what the U.S. is going through. Gold is trading firmly above $900 an ounce, and ready to blast to $1,000 — then even higher! No doubt about it. The Federal Reserve is openly committed to doing whatever it takes to try and get the economy over the sub-prime mortgage and credit crisis. That means the Fed is going to continue to do everything in its power to create liquidity, and more inflation, by devaluing the dollar. Inflation makes it easier to repay debts in the future. In other words, they're going to raise asset prices relative to debts, which are largely fixed. Oil reached $100 a barrel again on Tuesday, closing above the $100 threshold for the first time ever. If inflation were not a problem, do you think oil would continue to make new record highs? Hardly! Oil is on fire again because of supply disruptions due to attacks on Nigeria's oil industry and, of course, Chavez's threats to cut off oil to the U.S. Then there's OPEC, which will cut production immediately if they see any economic weakness in the U.S. threatening demand. Platinum prices have soared to a new all-time high! Platinum soared to an all-time record high of $2,173! That's up 41% since the first of the year ... and 145% in three years. 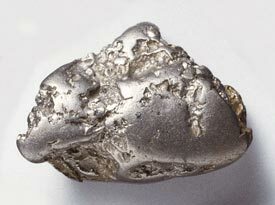 What's more, just for platinum to catch up with the accumulated effects of the tame inflation we've seen over the last 23 years or so — the metal would have to soar to $3,526! That doesn't even account for the accelerated inflation we're already starting to see and feel via the dollar's record-setting seven-year bear market — which is virtually guaranteed to continue! Copper, which is just 8% shy of a new record high, is busting out on the charts, and headed to more than $4 a pound. Don't you think that copper — an extremely sensitive commodity because it's widely used in residential and commercial construction and so many other industries — should be falling because of the housing market disaster in the U.S.? Well, it's not. In my book, that says a lot about those industries and the global economy. And it tells me loads about China and India, which continue their expansions like there's no tomorrow. I also think that copper is clearly signaling that there is "life after withdrawal from debt addiction." Not only that there is hope for the U.S. economy, but for the global economy as well. Plus, it's also indicating — just like gold is screaming — that more inflation is on the way! Wheat, trading at more than $10 a bushel, is up 16.8% since the first of the year, and 249% in three years. And with global wheat supplies at 30-year lows while demand is at record highs, wheat prices certainly appear headed much higher. Corn, up 14.6% since the first of the year, trading at $5.20 a bushel. Soybeans, up 15.1% since the first of the year. Cocoa is on a tear (up 17.6% in one month!) ... sugar prices are starting to soar (up 25% in two months) ... and coffee has risen 7% in two months. Even prices for little-known commodities like palm oil and rice are flying higher! Powerful Force #1: Record-setting demand due largely from the rise of Asian economies. 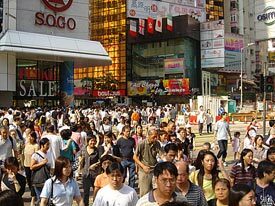 A rising consumer class in China is creating intense demand for natural resources. NEVER before has 40% of the world's population acted in concert to usher themselves into the modern age and out of communist and socialist central governments that held back their citizens' needs and wants for decades and, in some cases, centuries. Powerful Force #2: Supply problems that have become endemic in many natural resources. Decades of underinvestment and lack of attention have driven supply levels and future production prospects in virtually all natural resources to critically low levels. Oil is in short supply. Gold production is falling in virtually every corner of the globe. There are supply problems in copper ... in platinum ... in wheat, corn, and soybeans. You name the commodity, and there is either a major shortage in immediately available supplies or problems ramping up production. Powerful Force #3: Central banks that are determined to avoid deflation and depression by creating inflation. The U.S. Federal Reserve is — and will continue to — lead the charge on this one. As I noted above, they have no choice. They must inflate prices — or the entire financial system will collapse under a debt-induced deflationary bust. The Fed will do anything to avoid a deflationary collapse. Anything. If you can align your portfolio WITH these forces rather than AGAINST them, you'll be in a much better position to protect and grow your nest egg this year. Seven of My Favorite Asian Natural Resource Stocks! I've profiled these natural resource stocks before, and they've seen some nice gains — as much as 172.5%! Sinopec's stock is well off its highs, but I like the company's prospects. 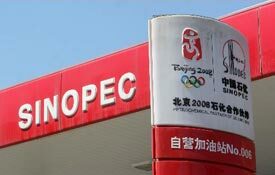 China Petroleum & Chemical (SNP): Asia's largest refiner by capacity, Sinopec is a petrol-octopus, with tentacles reaching into every facet of oil: From exploration and development to marketing, distribution, storage, trading and petrochemical production. Sinopec has around 3.3 billion barrels of crude oil along with almost 2.9 trillion cubic feet of natural gas. Sinopec is trading around $113 a share. That's more than double its 2006 low, but down about $65 — or 36% — from its recent high. The stock's P/E is just 10.73, and the company's five-year earnings per share growth has been better than 25%. CNOOC Ltd. (CEO): Infamous for its attempt to purchase Unocal a few years back, CNOOC is another major Asian oil and gas player. Its share price is now trading at about $168, a deal when you consider this giant's 30% annual earnings growth and last year's high of more than $200 a share. Santos Ltd. (STOSY): This major Australian oil and gas outfit has major presences in Indonesia, Papua New Guinea, Kyrgyzstan, and Egypt. Santos is trading at about $52, down from a recent high of $57. With a five-year earnings growth rate of better than 29%, it looks like a great opportunity anywhere under $50 a share. Alumina Ltd. (AWC): Australia-based Alumina, as the name implies, is a big aluminum player, investing in bauxite mining, alumina refining, and some aluminum smelting operations. AWC is 60% owned by Alcoa. Alumina was a penny stock until November 2002 when it lifted off the launch pad. Now trading around $22, it's down about 30% from its recent $31 high. The company had some recent earnings woes due to increased operating costs, but I believe those will be resolved going forward. The stock is worth investigating. POSCO (PKX): South Korea's Posco is one of the world's most profitable steelmakers. It produces 28 million tons of steel products per year, enough to manufacture 100,000 compact cars, and exports its steel products to more than 60 countries. Posco's stock is now trading at about $136, down from its record of $201. That's nearly a 33% drop. Some say Posco's earnings will suffer since iron ore prices are headed much higher. That would increase the cost of producing steel. But Posco is probably going to be able to pass much of those cost increases on to the end user. So I suggest looking at this one. Yanzhou Coal Mining Co. Ltd. (YZC): China's leading coal miner, with more than two billion tons of reserves, and production of more than 40 million tons a year. China is still some 80% dependent upon coal. Between the country's recent terrible winter storms, the worst in 54 years, and record high coal prices, I think YZC is in a great position. Its share price is currently trading at about $90, down from its peak of $116.73 last October. Kubota Corp. (KUB) . Japan's Kubota Corp. manufactures farm equipment, engines, pipe and fluid systems, industrial castings, environmental control plants, and housing materials and equipment. Kubota's share price is off about 50% since its record high of $60.60 last year. But I think it's now oversold and undervalued. Bottom line: If you already own any of these stocks, great! If you don't own them, consider buying them now. P.S. For all my specific buy/sell signals and recommendations, subscribe to Real Wealth Report . At just $99 a year, it's a screaming bargain, too!